The upgrade process is pretty similar as with any other MTA upgrade, only that this time it is easier because you can download it straight into the instance using the console-based download manager. Using a Virtual Machine? Add 1GB more RAM to the default, it will need it during the installation process. 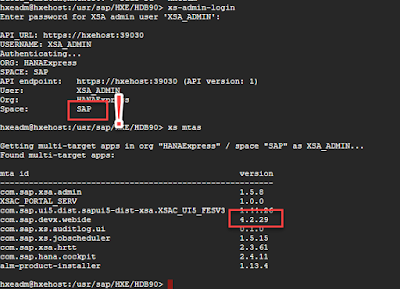 These steps apply to revision 23 of HANA express (HANA 2.0, SPS02). You can still go ninja mode and upgrade your MTAs but you will need to perform some manual work and checks (outlined below). 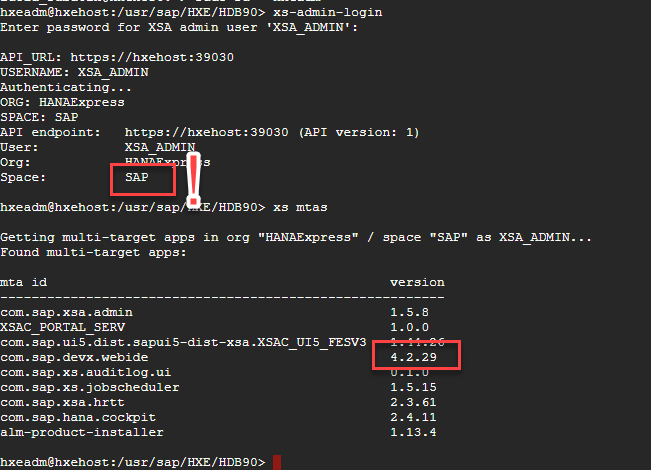 If you do not have that version, it means you need to go into the marketplace and look for SAP HANA RUNTIME TOOLS 2.0 and SAP WEB IDE 2 in the software downloads. You also need the *.mtaext file in this note. The one oyu get from the note has some differnt parameters than what HXE uses. I would recommend you use the file you already have from the original installation as a reference. 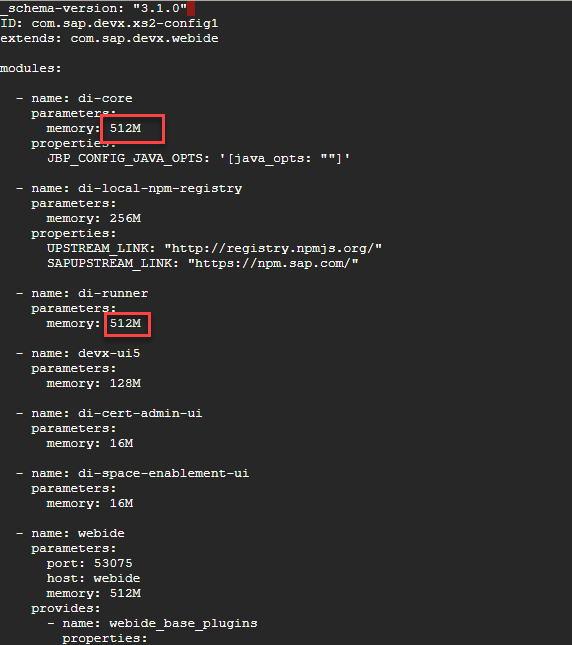 Command sudo find / -name *mtaext should find the original file. Whlle you are there, make sure you have the compatible versions of the other MTAs. 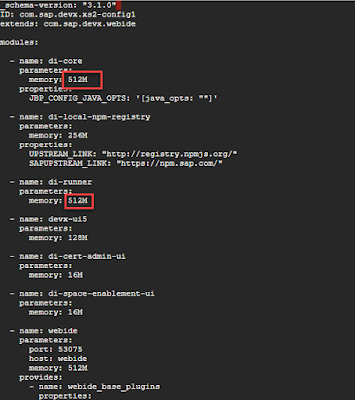 The command to know what your MTA versions are is xs mtas. Once you have all of the necessary packages, upload them into your instance and jump to “Upgrade time” below. Don’t you just love the console-mode download manager? Use it to download the patch straight into the same lucky server that is getting the upgrade. You need to pay attention here. The Download manager will offer packages for different platforms. In my case, I am using a launcher instance on Google Cloud Platform. 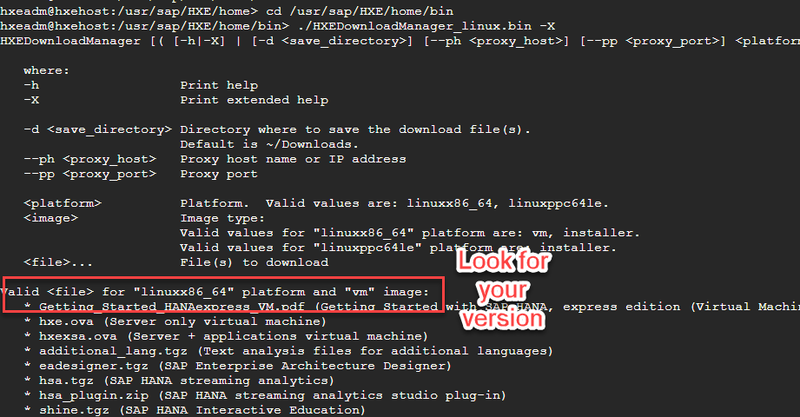 The linuxx86_64 version applies here (there is no difference between the VM or Binary method for this particular component), it is the platform what will cause you trouble. 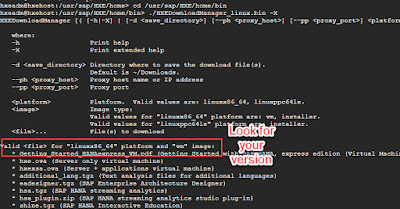 Use linuxppc64le if applicable. Request failed: Bad Gateway URI: /che/project/workspacee…..
And some other unhandled technical errors. And command xs mtas will confirm the upgrade has been successful.